As the leading Pharmacy in Guelph, it is our sole responsibility to spread medical awareness to the people in the community. This is why today we are going to talk about drug misuse and proper medication management. Drug misuse refers to the use of a substance for a purpose not intended with medical guidelines. People who suffer from social anxiety and depression are the ones who commonly misuse drugs. Taking in excessive quantities of a pill and other person’s prescription are some of the many examples of drug misuse. This misuse of drugs can pose a grave threat to one’s health, and may even lead to a coma or death. Given that, it is paramount for us to educate you with the essential information about medication management. Take a look below. What Can I Do to Safeguard My Health? Drug allergies can cause a significant problem because of the symptoms and reactions it produces. Because of that, you must always check the content and label of the medicine before taking it. Remember, drug prescription is vital for your well-being in order to treat your health condition. So, do not go beyond the dosage nor use an alternative of your medicine, unless written or told by your doctor. This kit is designed to help you organize your medications. Through this pill box, you can prevent taking in the wrong medicine and missing your doses. Expired medicines are extremely dangerous and can be toxic for your health. So, check the date to ensure you do not take in a medication that has expired. 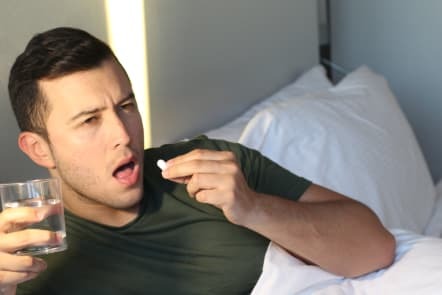 Always stick to your medication routine and this means you must take in the right dosage of your pill at the correct time. By doing so, controlling or treating your health condition can be exceedingly effective. Do you want to know more about medication management? If so, you can learn more about it by liking our official Facebook page or by talking to our professional team at our walk-in clinic in Guelph, Canada. We also encourage you to share this article with your relatives, friends, or workmates to help spread medical awareness. Arkell Walk-in Clinic & Arkell Pharmacy understands the importance of you and your loved one’s health. This is why it is our priority to provide topnotch pharmaceutical services through the help of our expert pharmacists who ensure medication safety. So, if you are looking for a reliable pharmacy, you can always rely on us. With us, you can expect to live a better life. To learn more about us and our company, please feel free to give us a call anytime! This entry was posted in Drug Misuse and tagged Drug Prevention, Medical Awareness, Medication. Bookmark the permalink.